How adorable are Jennylyn and Jazz in these matching pajamas as they celebrate the New Year? Dennis Trillo is this year's Metro Manila Film Festival 'Best Actor' for his movie 'One Great Love'. In his thank you post on Instagram, Dennis especially dedicates his victory to his real life "one great love" Jennylyn Mercado. Meanwhile, Jennylyn also expressed how proud she is of her long time boyfriend. Check out Dennis' post below. 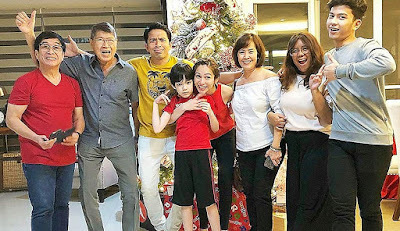 Just like in the past years, Jennylyn Mercado and Dennis Trillo's families come together on Christmas eve. Family goals indeed! Check out some of their photos below. Christmas is a time of giving. To whom will Jennylyn and Kim give their gifts in this "Kris Kringle" challenge? It's such a wonderful sight to see two of the most important women in Dennis Trillo's life bonding together. 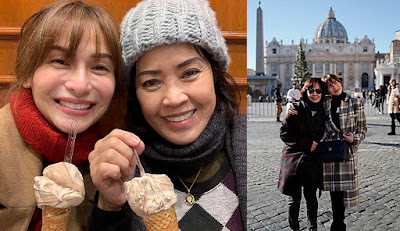 Jennylyn Mercado and Dennis Trillo's mom were spotted touring Rome together just before the Holidays. Jennylyn Mercado bags the Best Actress award at the 8th OFW Gawad Parangal for her role as Charity in the Kapuso prime time series 'The Cure'. 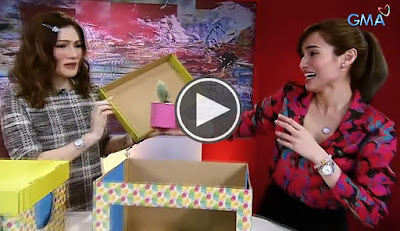 WATCH: Jennylyn Mercado takes on the "What's In The Box Challenge"
Jennylyn plays the viral game "What's In the Box Challenge" on Sarap 'Di Ba? What's inside Jennylyn's box? Watch the video below and find out. WATCH: Jennylyn Mercado talks about her "cookie business" on Sarap 'Di Ba? Jennylyn Mercado shares the story behind her new online business 'Chunky Dough' on the program Sarap 'Di Ba?. Watch her interview below with host, Carmina Villaroel. 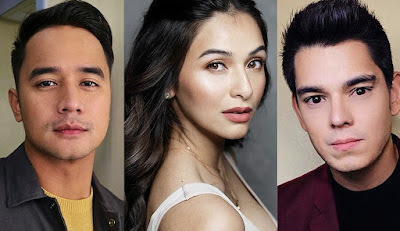 Jennylyn returns as a special guest on Pepito Manaloto as Maila and out of all the people she bumps into at the gym, she crosses paths with her ex's present Janice. Catch Jennylyn Mercado on Pepito Manaloto this Saturday on GMA 7. Jennylyn Mercado takes on the 'What's In The Box' Challenge on Sarap, Di Ba? this Saturday morning on GMA Network. WATCH: Vice Ganda on Jennylyn Mercado: "Ang ganda! Napakaganda!" 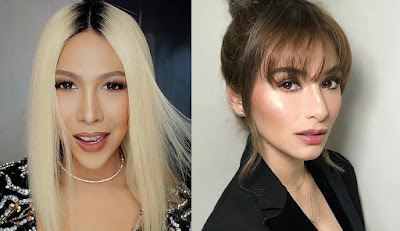 Even the Phenomenal Box Office Star Vice Ganda was mesmerized with the beauty of Kapuso Ultimate Star Jennylyn Mercado. On the program It's Showtime, the Kapamilya star couldn't resist saying how beautiful Jennylyn is after one of the contestants sang one of the Kapuso singer's hit songs. Vice also briefly talked about Jennylyn's new cookie business 'Chunky Dough'. WATCH: #DearUgeKuhaKita: Sandy on a date with her boss? Sandy thought she's be spending the night alone but Thomson surprised her. Here's what you missed from Dear Uge 'Kuha Kita'. WATCH: #DearUgeKuhaKita: Is Sandy falling for her boss? Is Sandy falling for Thomson? Sandy thought Thomson was going to end his life so she hurriedly barges into his room. Thomson hired Sandy's team to cover his marriage proposal to his girlfriend however things did not turn out as expected. Will somebody else capture this man's heart after a failed proposal? Watch out for the Ultimate Star Jennylyn Mercado and Clint Bondad in a special episode of Dear Uge this coming Sunday. Watch the teaser below.